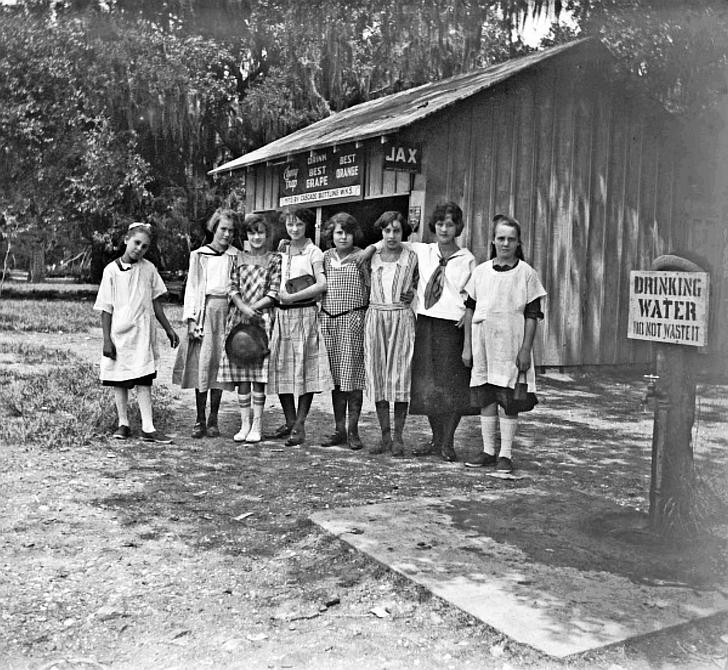 In this 1925 photo, girls pose in front of a City Park refreshment stand offering Jax Beer, Best Grape, Best Orange, and Cherry Pop. The sign at the right admonishes, "Drinking Water -- Do not waste it". Photograph courtesy of the Louisiana Digital Library.